Digital innovation is now a key business issue that HR professionals must address in order to remain relevant in their role. Not a day goes by today without news of artificial intelligence (AI) taking over jobs or automation threatening to transform workplaces completely. Driverless – or even flying – taxis are no longer restricted to the realm of science fiction, but are being piloted in the US, Singapore and Dubai in coming months. 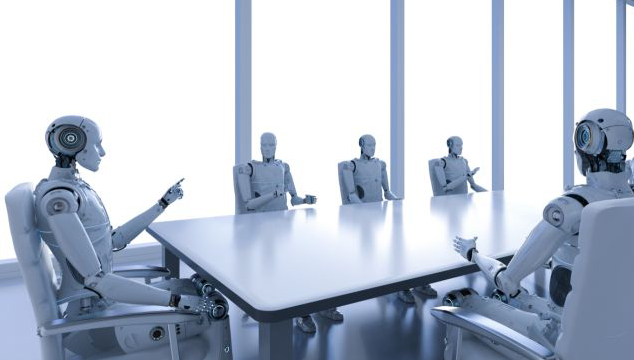 Many human roles are already being taken over by robots, drones and chat bots. However, in the world of HR, it can often seem as if things haven’t changed a great deal. The use of technology is nothing new, so logically, there is no reason for HR professionals to expect drastic change. Or are things different this time around? cloud-based systems which have improved speed and reduced costs. Machine learning and AI are bringing about rapid changes in the way data is collected, analysed and can be used for predictive purposes. Technologies such as blockchain and facial recognition are delivering brand new capabilities. The speed, cost and availability of data is improving rapidly, making solutions far more affordable. Start-ups are providing solutions to specific issues/pain points and can be easily integrated into existing HRIS. Finally, overall business models and customer experience are being significantly disrupted by technology. It is imperative that workforce composition, design and processes should mirror some of these changes. The most obvious advantage of these digital advances is that they are helping to lower costs and boost productivity by increasing speed, improving efficiency and reducing manual labour around low-skill, repetitive jobs. This has always been the highlight of using technology, but the affordability of many of these digital solutions now makes it particularly valuable. Today, everyone expects to be treated as a valued customer with a personalised service delivered in real time. However, when most employees enter an organisation, they have a very different experience with HR processes. Digital products pay a lot of attention to creating an intuitive interface which contributes greatly to enhancing the employee experience. HR has always been considered a ‘fluffy’ function, because very little data has been available to demonstrate its genuine commercial implications. Outputs from digital products that use data in real time and in a predictive manner are making it far easier for HR professionals to talk the language of business and add true strategic value. It is also freeing them to concentrate on planning for the future and managing risk, which in turn is making their role more strategic. I would advise HR professionals to take the following three steps in order to understand, and gain a more practical perspective on, digital disruption. Digital HR start-ups that use AI and leading-edge technologies are fairly low cost and can integrate easily with your existing HRIS systems. Don’t just use the tech because it’s there; focus on a real problem that you want to solve and test drive it with a small group or team. If it works well, roll it out to other parts of the organisation. There is a range of solutions available to solve problems across the entire employee life cycle – from initial resourcing through to leaning/coaching and talent management via compensation and benefits, employee engagement and wellness to final exit management. Choose an area that needs immediate improvement and source the right solution for this. You can manage the risk of ensuring the solution is appropriate and reliable by taking some expert advice. Over the past few years, businesses have participated in innovation hubs to facilitate and incubate new ideas. This has typically involved sponsoring start-ups by offering them funding and support, either in-house or in an externally sponsored environment. Unfortunately, even in FTSE 100 businesses, very little of this activity has filtered down to HR. While energy companies are sponsoring clean tech products and automotive and aerospace companies are supporting transport tech options, very few HR functions are looking at sponsoring innovation around employees or the workplace. However, a great way for the HR function to learn about and understand innovation or new technologies is to participate in a shared human capital innovation hub where several corporate HR functions participate and sponsor a chosen digital start-up. The start-up could address a particular area in which the organisation is interested, such as career-path planning for early employees; helping the HR team to understand a new technology such as blockchain, or improving focus areas such as diversity or health and safety. This process also helps the organisation develop its brand around innovation and, in addition to working with its chosen start-up, the company has a chance to learn from the experiences of fellow members. Investment in start-ups has traditionally been by venture capital firms or individual wealthy investors. Today, crowdfunding platforms have made it possible for people with small sums of money to invest in a particular deal of their choosing. It makes sense for a HR professional, who understands the professional space in which they work, to invest in a start-up in which they see potential. Investing even a small amount of money can give you tremendous advantages in terms of your learning and understanding. You get to know the possibilities that exist, to learn the capabilities of newly emerging technology and, most importantly, you develop your commercial acumen. All the HR directors who have invested in the HR TECH Partnership have done so primarily with the aim of staying a step ahead and understanding digital disruption. Digital innovation can no longer be dismissed as a buzz phrase or marketing ‘speak,’ but represents a key area that all HR professionals have to consider seriously in order to remain relevant in their role.